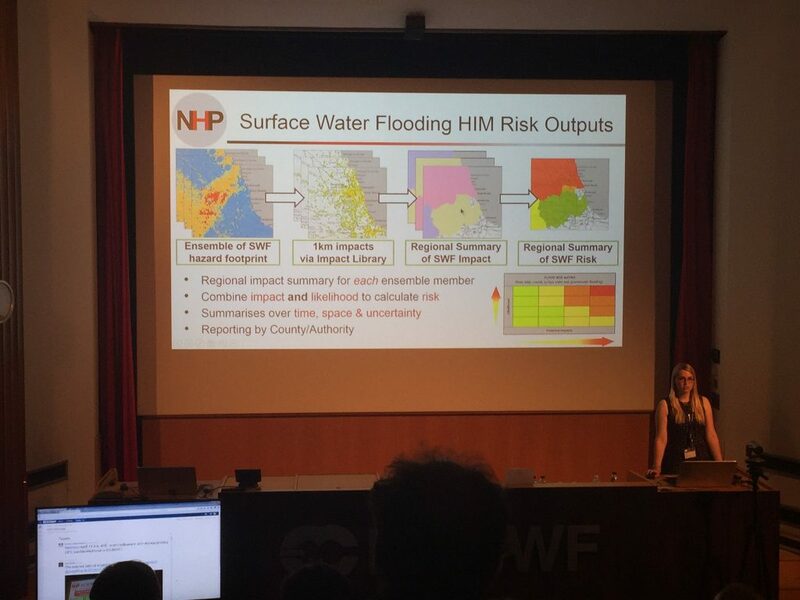 We attended the Using ECMWF Forecasts (UEF) meeting in Reading from 12th-16th June. The meeting theme was ‘Storms’ with the aim to discuss the use and performance of ECMWF forecasts and related products. 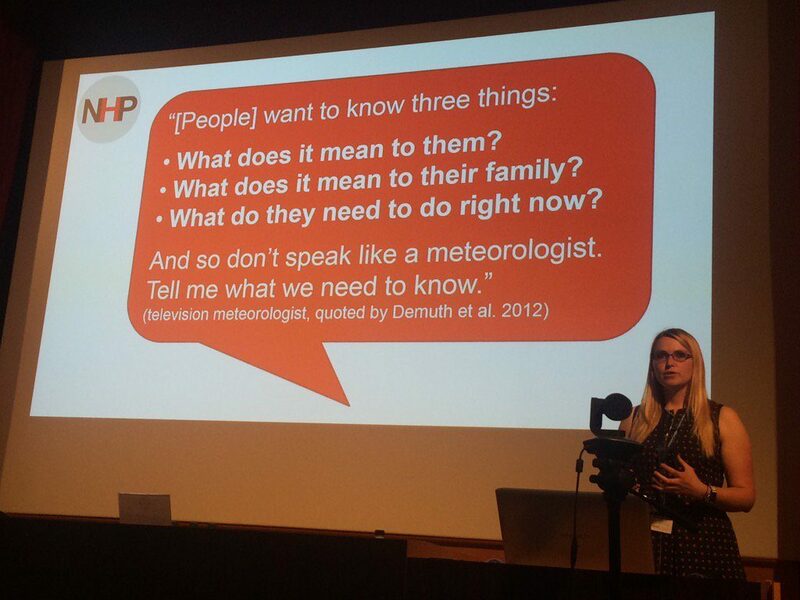 While NHP do not currently use ECMWF forecasts in their products and services we do have a large interest in storms through our impact modelling work. 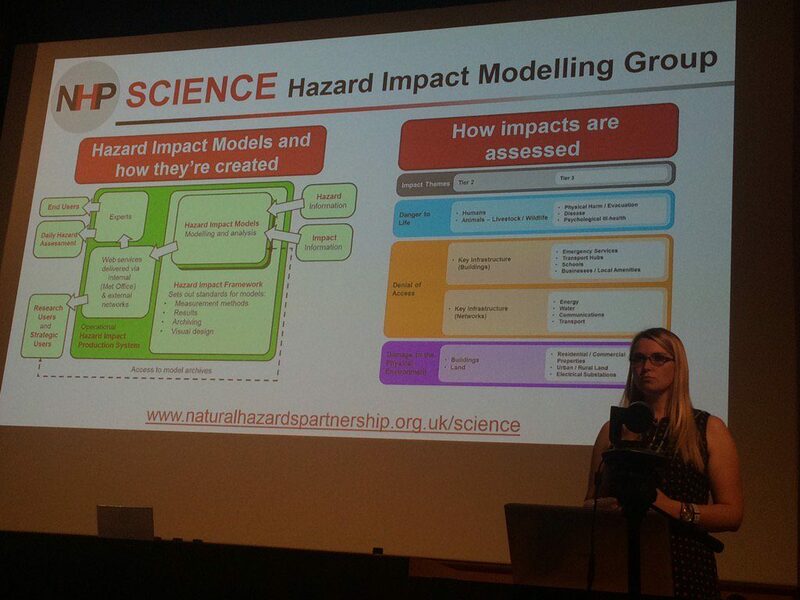 Therefore we presented an introduction to the Natural Hazards Partnership and Hazard Impact Modelling work including why we do impact modelling and how we do it. We also co-ran a workshop on Hazard Impact Modelling for Storms with Met Office and ECMWF. There was a lot of interest in making forecasts more impact-based from scientists and forecasts alike with insightful questions asked. Weather regime-based approach – historical impacts of weather, of any type, can be related to particular weather regimes, giving probabilities of impact conditioned on regime occurrence. This approach is particularly relevant for providing early warning, before more detailed modelling is available, and supporting lower-cost early preparedness actions. Impact of snow on transport infrastructures – ensembles offer the possibility of identifying probabilities of severe snowfall events in conjunction with high resolution mapping of transport networks. Avalanche risk as another potential snow-related opportunity, however large challenges in mountainous areas. Weather impacts on power distribution networks – storms can impact on power distribution in several different ways including windstorms, line icing from freezing precipitation or wet snow, lightning or flooding of sub-stations. Detailed mapping of power-line exposure will help identify the greatest vulnerabilities to high-impact weather. The meeting was well attended with approximately 80 attendees from a variety of European countries as well as America and Australia. PDFs of all presentations are available at https://www.ecmwf.int/en/learning/workshops/using-ecmwfs-forecasts-uef2017 with the conference documented on Twitter using #UEF2017.